DescriptionPretty white card just married bunting! 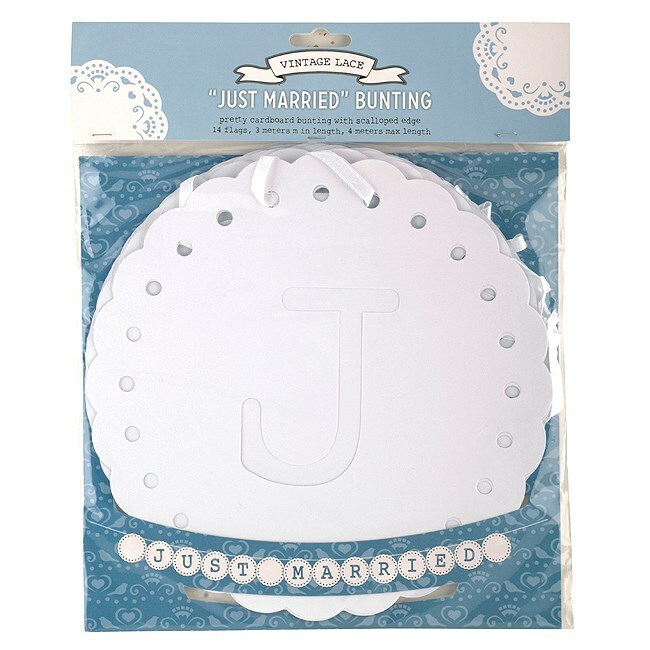 A string of fluted edged circles with letters cut out from the centres spelling "Just Married". A very beautiful addition to your wedding decorations. The bunting is 3.5 metres long and the circles are 22cm in diameter. Pretty white card just married bunting! 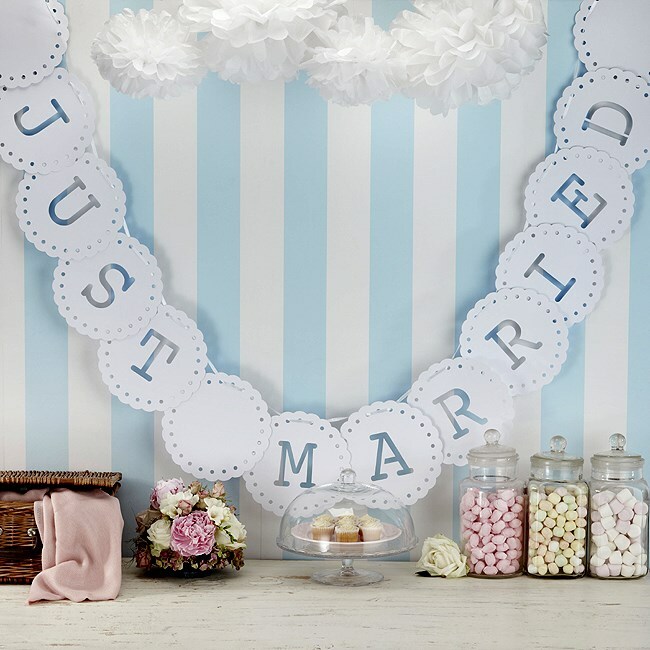 A string of fluted edged circles with letters cut out from the centres spelling "Just Married". A very beautiful addition to your wedding decorations. The bunting is 3.5 metres long and the circles are 22cm in diameter.